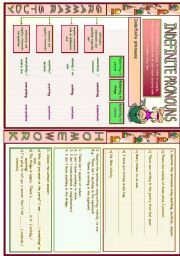 Worksheet to provide further Indefinite pronouns practice. The first page has an easy follow up guide on Indefinite pronouns. Each point is clearly explained and examples are given. 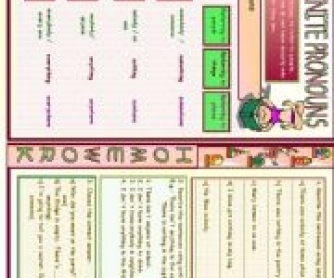 The second page has 3 different exercises in which students are asked to rewrite the sentences using anything, anybody , anyone, nothing, nobody or no one, and to choose the correct alternative to complete the sentences.